The Nokia 9 PureView’s five rear cameras could potentially set a new standard for mobile photography. 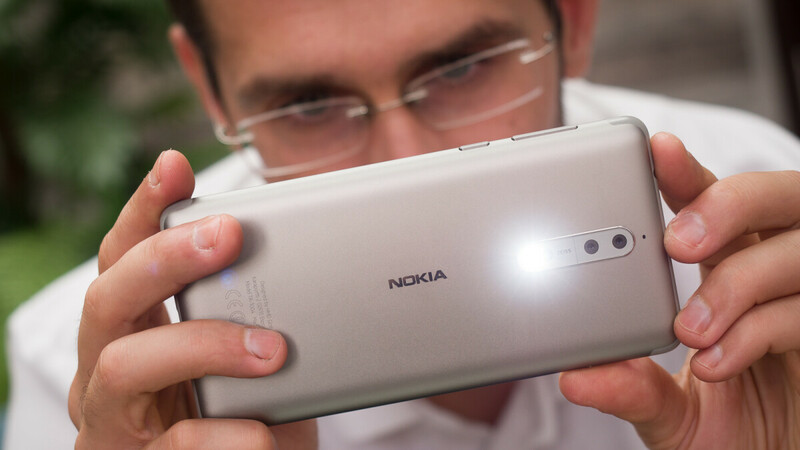 But ahead of its release, a teardown of the newest Nokia camera app update reveals that HMD Global has quite a few new features in the works. Kicking things off with new support, it seems Nokia is preparing is camera app for a future smartphone with a wide-angle lens. Presently, the only Nokia-branded smartphone set to ship with a wide-angle lens is the flagship Nokia 9 PureView, but perhaps HMD Global has a new mid-ranger in the works too. Another interesting feature comes in the form of Refocus. As the name suggests, this will allow device users to adjust the focus of images after they have been taken. Speaking of which, if the Nokia camera app detects a blurry image once it has been taken, a retake button will pop up. In addition to all of this, Nokia looks set to introduce a new iPhone-like Portrait lighting feature which will give users the option of activating studio light and stage lighting, among others. Also, HDR+ and HDR+ Flash support will eventually be making an appearance. Moving over to the zoom feature, it seems HMD Global could be preparing a new lossless zoom option. Additionally, a new option called Dual Camera Zoom which could combine two telephoto lenses. Lastly, it seems new blue icons will be introduced to the app alongside Facebook Messenger integration, the ability to scan QR codes and barcodes from within the camera, and the option of viewing images in Filmstrip view. Awesome. This update is going to add some pretty good features to the Nokia camera app. Eagerly awaiting the Nokia 9 Purview. I've been waiting for a new PureView phone from Nokia for so long, I hope they unveil it very soon (not MWC 2019 soon, sooner). I'm sorry but I just can't support that 5 camera setup in the back. I just think it's overdoing it if you ask me. That five camera setup is awesome and will no doubt be innovative and push the boundaries of camera tech. Why are you so against progress? Why do you care about what I support and don't support? Get over it already. Why do you harp about and attack smartphones and OEM’s that you don’t support and have never purchased or used a current product from? Get over it already.